Very few people are blessed with perfect and straight teeth. The reality is that many individuals will need some kind of orthodontic treatment during the duration of their lives, and oftentimes that means braces. University Dental in San Diego can help get your smile back on track with orthodontic braces. Braces are an amazing way to shift teeth and your bite line in the shape that the orthodontist chooses. Braces work by applying consistent pressure to the teeth over a specific period of time in order to slowly move them in a given direction. When the teeth move, the corresponding bone will also change shape. How Long Do I Have to Wear Braces for Best Results? The amount of time you need to wear braces to get the smile and teeth you so desire will vary depending on the individual. A variety of factors will go into how long you need braces, including the severity of the underlying issue, the amount of room in the mouth, the distance the teeth need to be moved, and your oral health. In most cases, the timeline for braces will be anywhere from one to three years. What is the Best Age to Get Braces? What About Adult Braces? There is no set age range for when braces are acceptable, as it will vary from case to case. However, for children it is suggested to get braces between the ages of 10 and 14, because their adult teeth are all in place but the mouth and head are still growing. That does not mean braces are not for adults. It is never too late to get the smile and teeth you desire, and adult braces are very effective. Between 20% and 25% of all orthodontic patients who get braces are adults. The cost of braces will vary depending on the severity of the orthodontic issues and the treatment needed. In most cases, dental insurance can cover a portion of the cost and make braces quite affordable. University Dental in San Diego are always looking to optimize your teeth, oral health, and smile. We have a staff on hand that is experts in all things teeth, and they are ready to get you fitted for some braces. If you are in need of an orthodontist to fit an overbite, gaps in your teeth, or other orthodontic issues, contact University Dental. 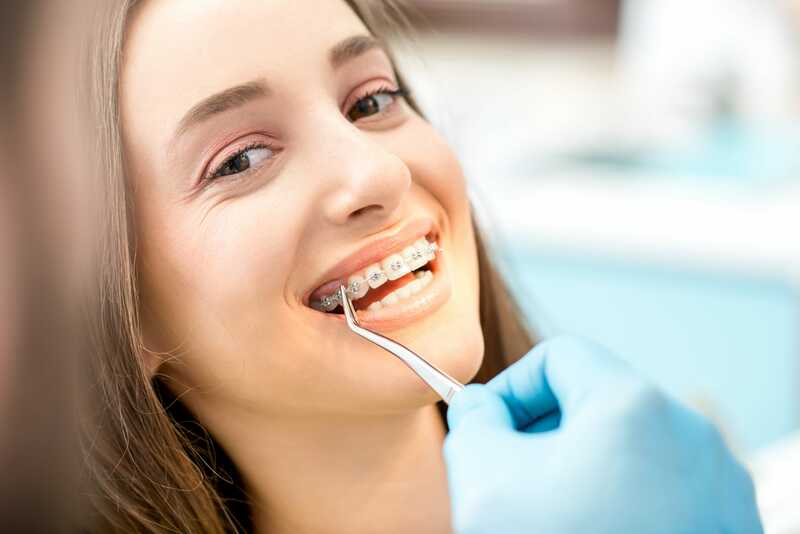 We are the braces experts in San Diego and are ready to help. Give us a call at (619) 582-4224.